On Monday, Mick Mulvaney, the director of the Office of Management and Budget, did not deny that cuts to entitlements such as Medicare and Social Security could be made in the future, reports The Hill. During a press conference, the topic of paying for various budget increases was broached, as was the potential to cover costs through an adjustment of entitlements. "This is a budget blueprint — what some folks used to call a skinny budget — and it would not be at all unusual for larger policy decisions, including tax reform, revenue projections not to be included in this budget," Mulvaney said. 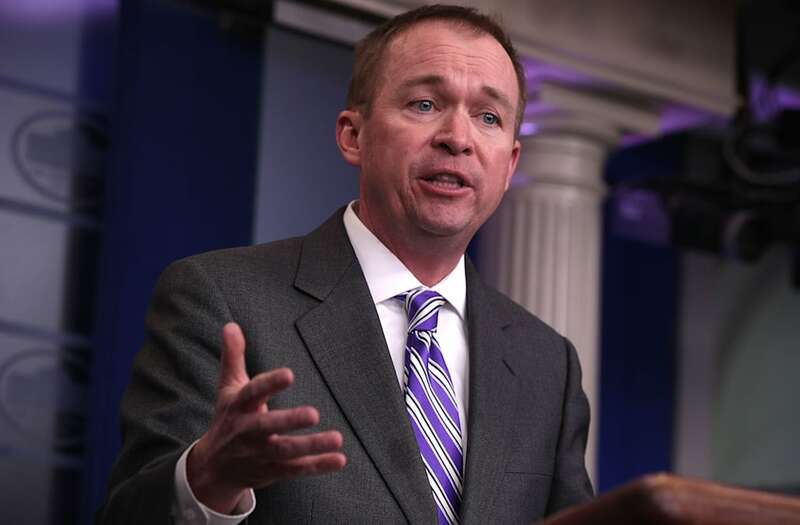 When pressed on the possibility of entitlement cuts being included "down the line," Mulvaney limited his response to, "The full budget would contain the entire spectrum of the president's policy changes." Later in the briefing, Sean Spicer noted, "...the president understands the commitment that was made to seniors in particular...regardless of whether you voted for him or not, or you agree with his policies, he's a man of his word." Over the weekend, Treasury Secretary Steven Mnuchin expressed a similar sentiment on Fox News. Mnuchin said of Social Security and Medicare, "We are not touching those now. So don't expect to see that as part of this budget, OK. We are very focused on other aspects and that's what's very important to us."